I am introducing new series - Christmas Friday. Even so it is only September, we all know how time flies and it is better to start get ready now. 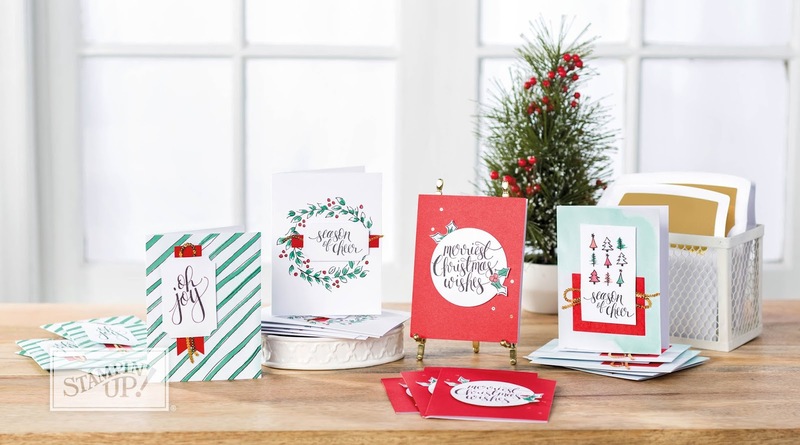 The easiest option for mass production of Christmas cards this year is the project kit from the Holiday catalog. Those cards are truly easy to make, and you will only need one stamp set and ink. My suggestion - get the kit and stamp as a backup.